The k-pop group’s army invaded the Microsoft Theater. 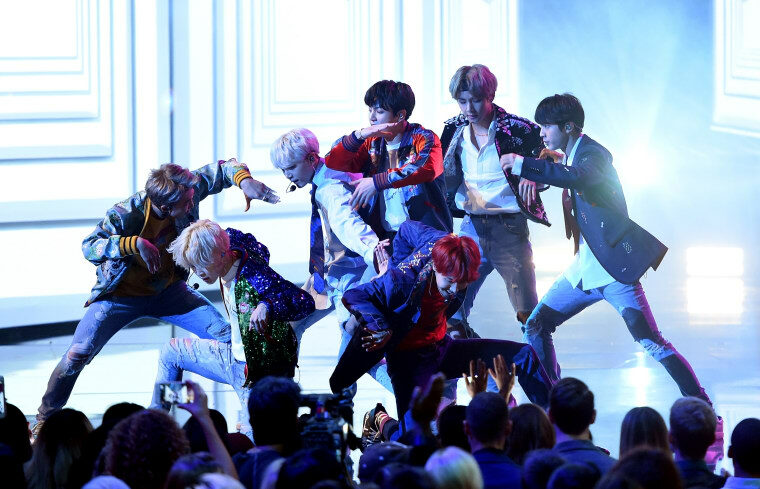 Tonight, the entire world tuned into the American Music Awards for BTS's highly anticipated performance of their breakout single "DNA." 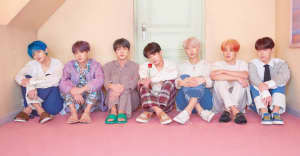 The seven-piece boy band made history as one of the first k-pop groups to ever perform at the event, and this also marks their official live television debut in the U.S.
As expected, BTS's army of fans swarmed the crowd and nearly drowned out the group with their passionate chanting and screaming. (Ansel Elgort was caught looking extremely entertained by their theatrics as well.) The BTS takeover is officially underway starting with Los Angeles. Watch a recording of the group's legendary performance in the video, below. DID YOU SEE EVERYONE DANCING TO BTS? DID YOU SEE EVERYONE STANDING FOR BTS? Revisit The FADER's essay on why BTS is giving K-pop the U.S. breakthrough it deserves.